Those that own ponds in northern climates must make special preparations for winter, but what about spring? What you do with your pond after winter occurs is just as important as what you do before. 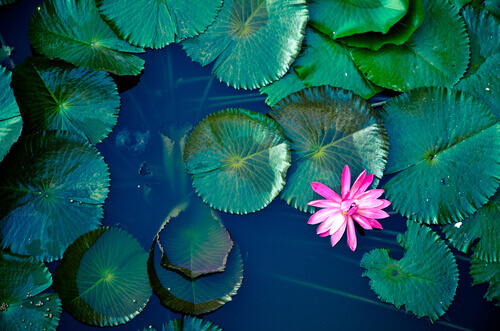 Here are a list of procedures and habits that every pond owner should develop if they want to maintain a healthy and vibrant water garden. Partial water changes are essential during spring, as they stop the buildup of hazardous elements within the pond. It will also prevent other issues and is highly recommended at the start of the year, when the pond has been subjected to less than effective filtration for months. While spring is still cold in many places and is not the most comfortable time to perform labor for pond owners, it provides a host of benefits to the pond itself. During spring temperatures will rise, and when you notice that your pond water is consistently higher than forty two degrees Fahrenheit, this means that you can start giving your fish cold water feed. You do not want to feed them standard food, not until the pond water consistently reaches a temperature of fifty five degrees every night. Standard fish feed is rich, so much so that it can create digestive issues in fish that have a slower metabolism resulting from cold water temperatures. Organic debris will inevitably enter your pond during the winter months. It is largely unavoidable, and as such, the arrival of spring means cleaning it out. A common mistake that is made by amateurs however is not cleaning around their water garden before withdrawing the net. The pond will attract any acorns, sticks or leaves that are in its vicinity, and once they get in the water they will decay and damage its chemical balance. Spring is the best time to eliminate pond sludge before it becomes too hard to control. The best tools for this task are the skimmer net and pond vacuum. Spring is also a great time to perform pump maintenance. The reason for this is because debris has been collecting in the filtration unit all winter, and clearing it out will ensure that the pond pump is completely functional and working at its best. You can use a brush or even your hands, and it will extend the service life of the pump and ensure that your pond is in good order. Creating a to do list is the best way to keep your work organized, and is the first thing you should do. It can help you with anything, not just pond maintenance, but will ensure every step is completely in an efficient manner. Since pond maintenance can be overwhelming for those who are new to it, a to do list will go a long ways to make things manageable. You are also much less likely to forget something.